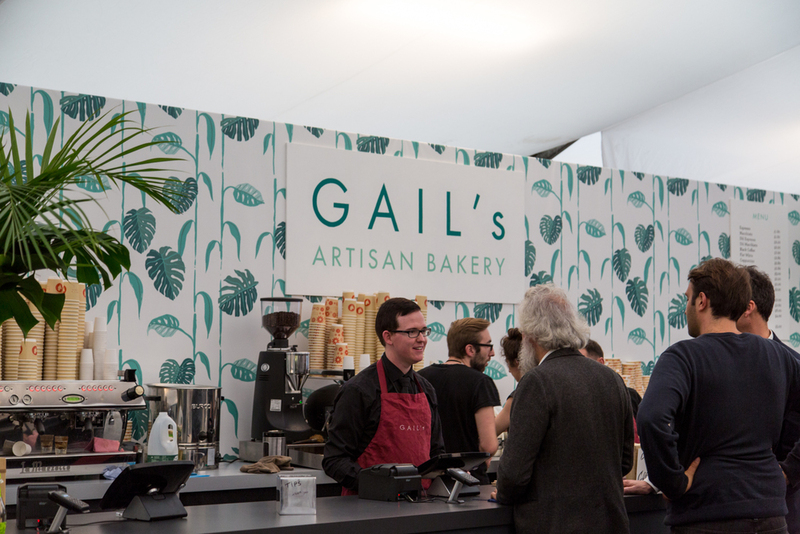 This was our 2nd year working with Gail's Artisan Bakery helping to create 2 unique cafe spaces and restaurant at Frieze Art Fair. 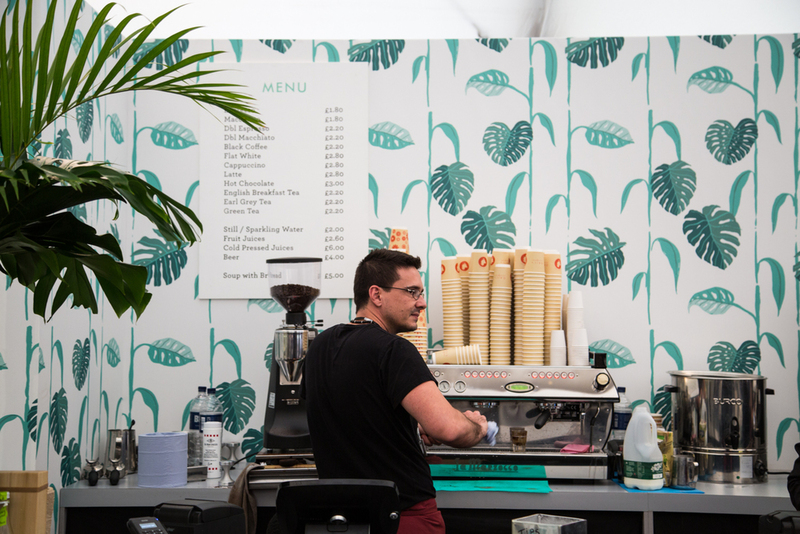 We worked closely with architects Holland and Harvey to develop the individual interiors. 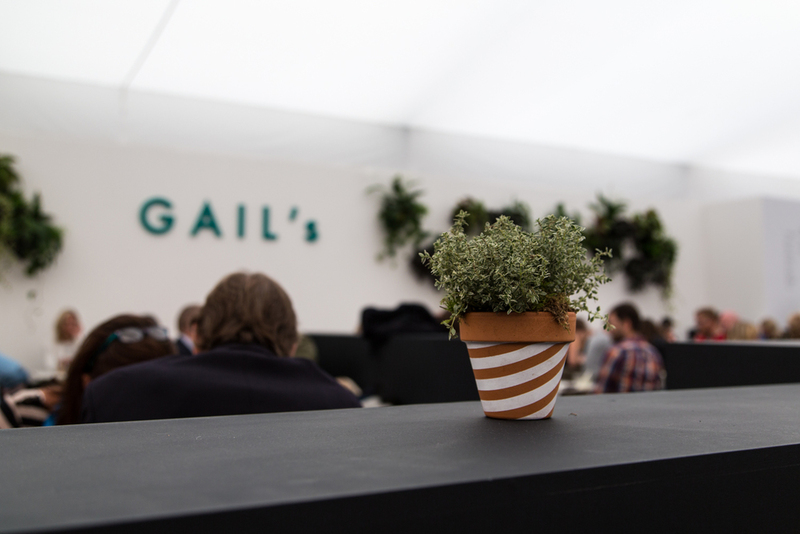 Gail's really encouraged us to expeiment with different materials and methods of production. 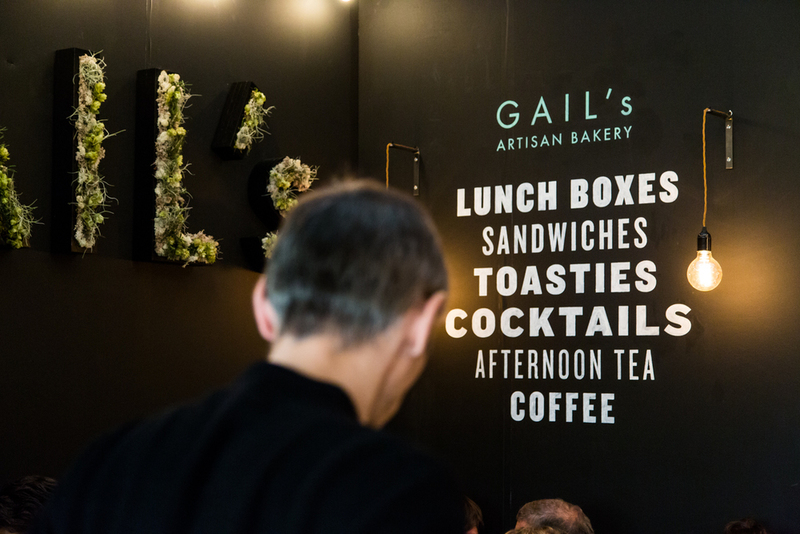 We designed and made various things including botanical wallpaper, hand painted signage, large-scale murals and even a planted Gail's logo.